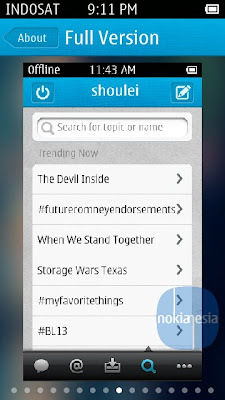 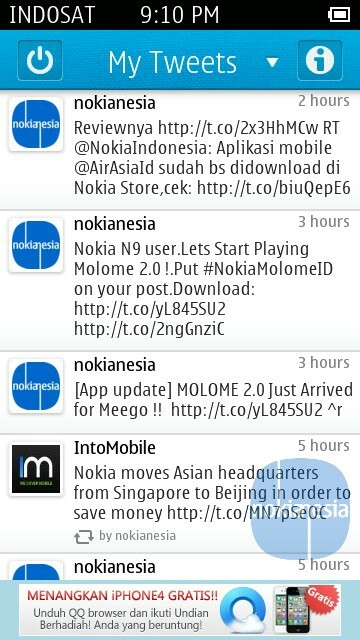 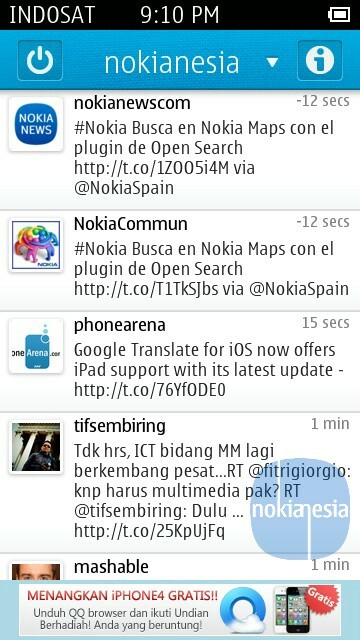 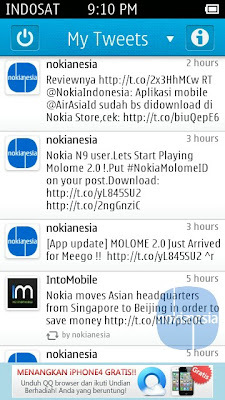 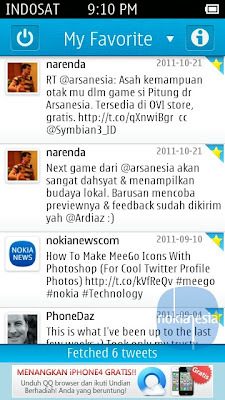 Tweeties Free is a read-only Twitter client for Nokia Symbian 5th and Symbian^3 familiy. 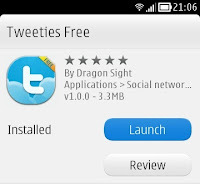 This Free version only allows you to see your Timeline, Your tweets, mentions and your favourite. 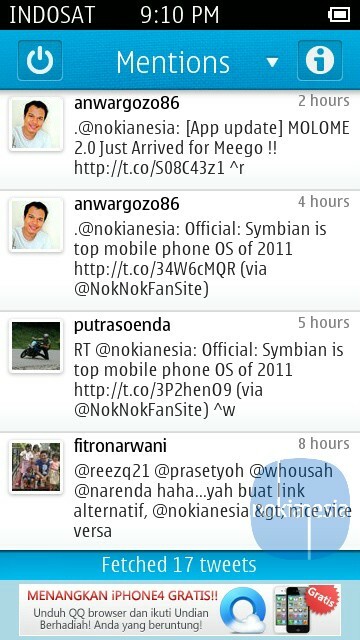 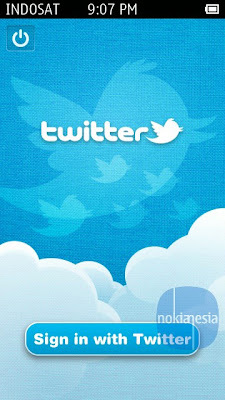 "Tweeties Free is a read only Twitter Client for Symbian phones. 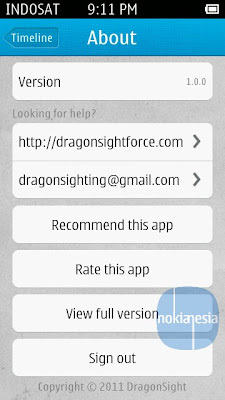 It will give you the simple and clean UI style, the beautiful graphics and the considerate drop down list, all are designed for your good experience." 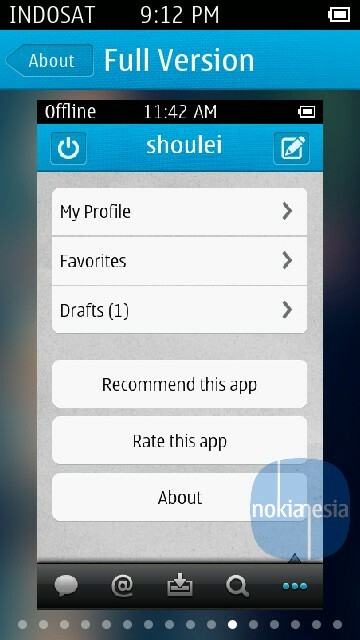 The application is build on QT. 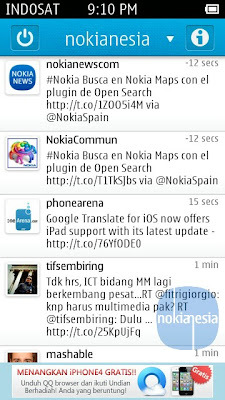 The application running smoothly on Nokia N8 Belle OS. 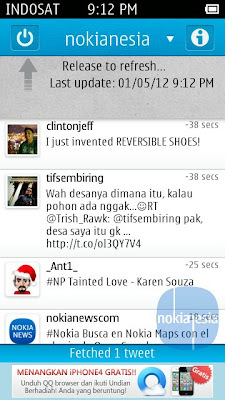 No lag, no loading forever and it is fast. 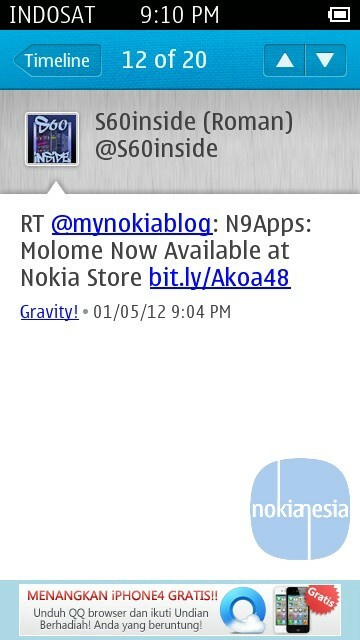 The full version is not release yet on Nokia Store. You can check the full version preview inside the application. 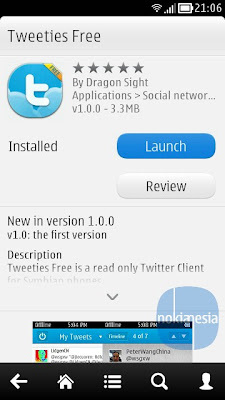 We hope the full version is rich of features (have almost all twitter features), easy to use, free adv, fast & simple. 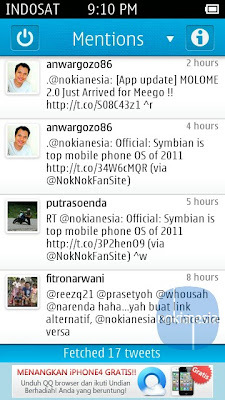 If the answer Yes, We think that The full version will be (at least) the number 1 Twitter client for Symbian S60 5th and Symbian^3 Family. We'll post some review after the full version has been released to public. Just try the free version before they release the full version :). 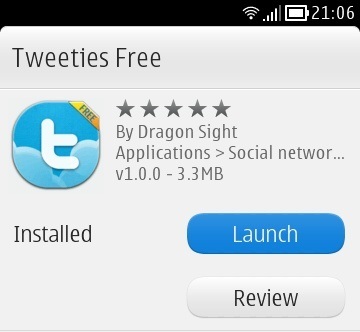 Great app, except recently i have a problem: it only loads tweets for last hour or so... This is happening for a week or two, before I was able to go three days back. 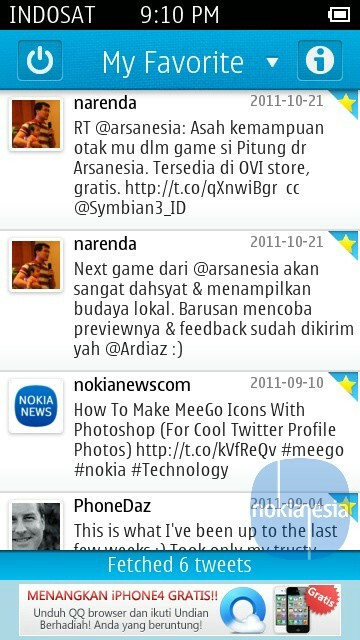 Anyone knows how to make tweeties to load more past tweets?